Taking Backups, Call Agent. 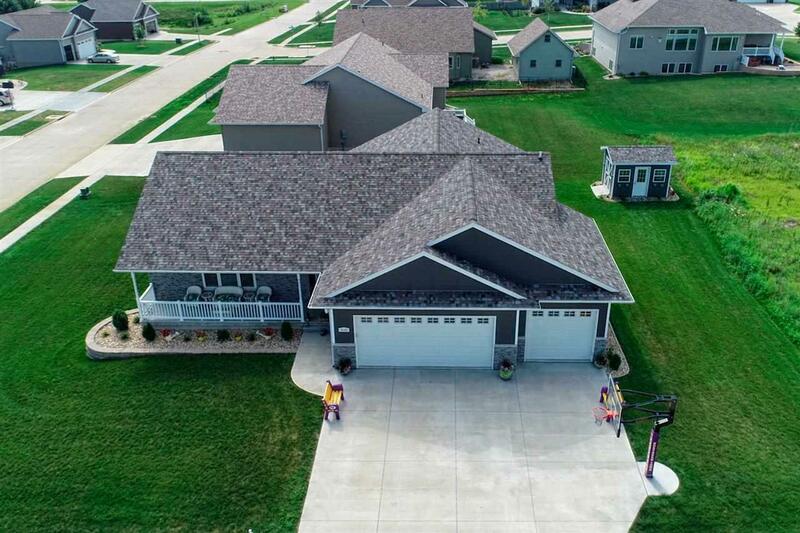 Better than new home nestled on a gorgeous corner lot in the Prairie Winds Subdivision. Beautiful wall-to-wall hardwood floors, vaulted great room opens to formal dining room and a master cooks kitchen! 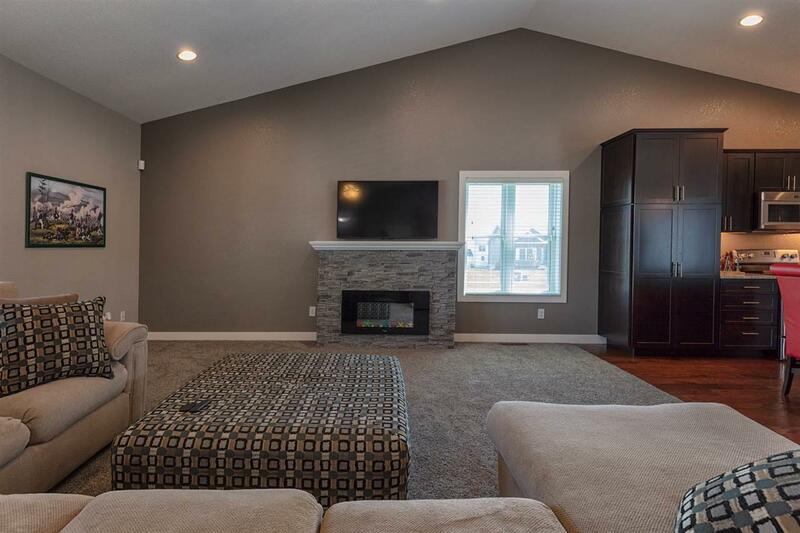 All the extra amenities are included: Schrock kitchen cabinets and island with granite counter tops, electric fireplace, main floor laundry room and MORE! The sprawling main floor offers a private master suite with walk-in closets & private bath featuring a soaking tub, tiled shower and granite counters. Additional 2 over sized bedrooms and full bath on the main floor. 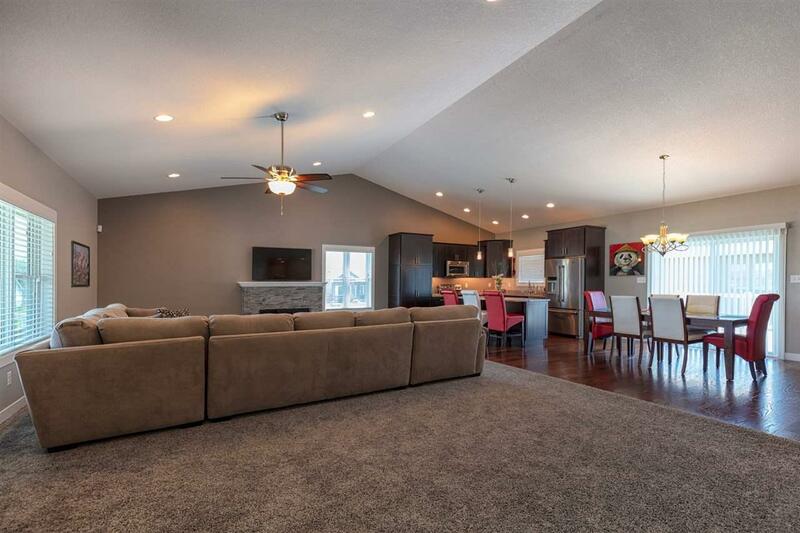 Additional lower level living space offers large family room, full bath, weight room and 2 additional bedrooms! Perfect entertaining space inside and out... backyard deck, beautiful landscape and 3 stall attached garage. 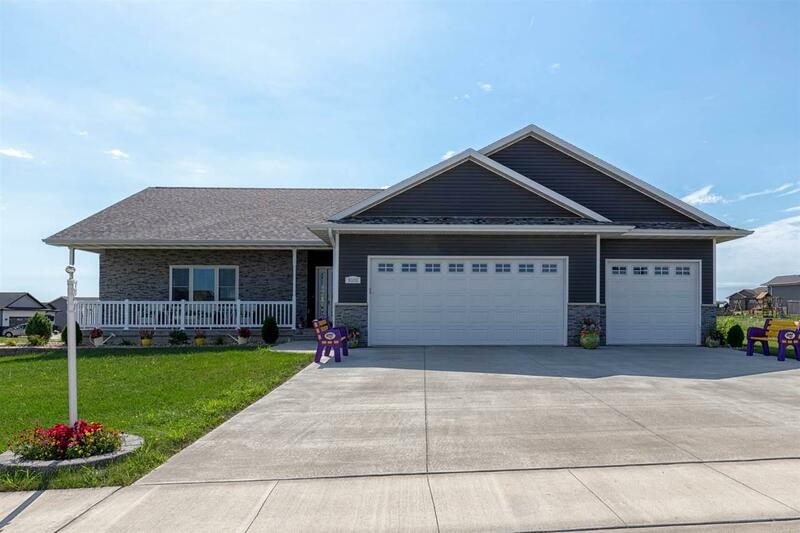 Listing provided courtesy of Rick Bauer of Re/Max Home Group.